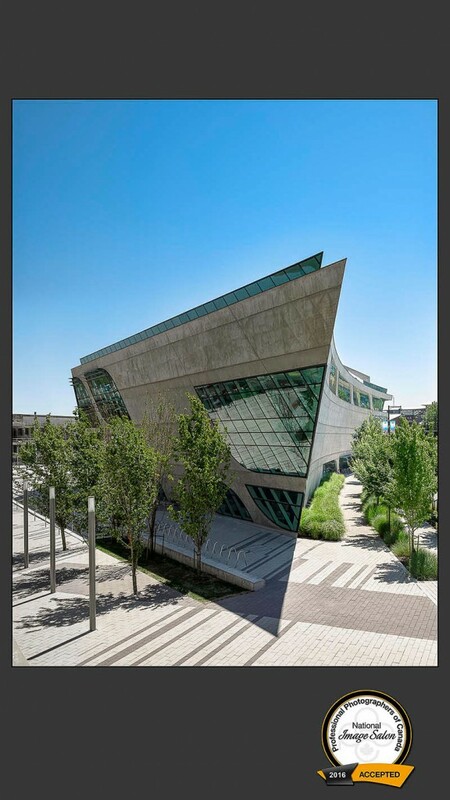 The Surrey City Central Library was design by Bing Thom Architects. It’s been photographed by many people (both professional and amateur) due to it’s sculptural and distinctive form. But never had we personally seen a photograph that depicted it’s form through the use of shadow. 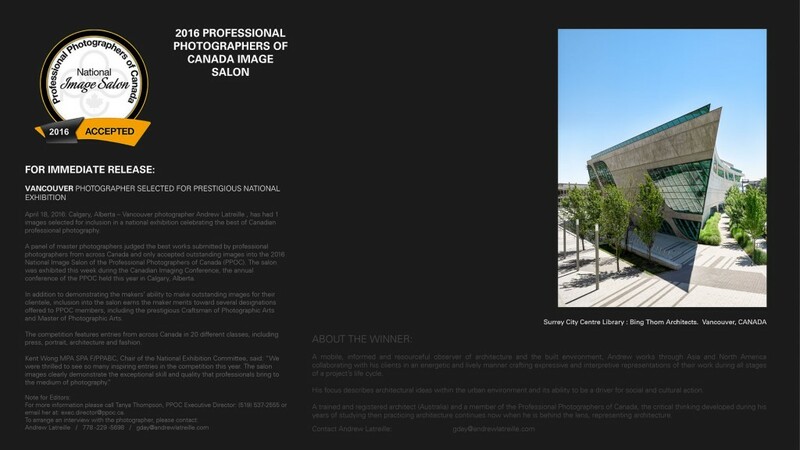 There were many outstanding images in the exhibition, and we’d like to thank the judging team for recognizing our photograph of this stunning building. It was also honored in last years INTERNATIONAL PHOTOGRAPHY AWARDS.